Q. With all the rain we have had in parts of the state, where is my nitrogen and what should I do about it? A. Excellent question. Of course the answer is, "It depends." What it depends on is how much nitrogen is "vulnerable" to loss and then whether your field had enough rainfall and infiltration to move the nitrogen below the root zone. With plants growing quickly, the roots may catch any nitrogen that has not moved too far. 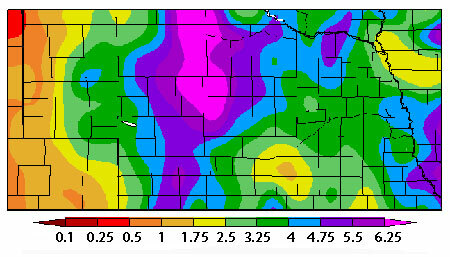 Figure 1 shows the amount of rainfall in the last week for the state and Figure 2 shows the amount for the last 14 days. The areas of concern are those where the soil profile was near field capacity and received 3-5 inches of rain that went into the ground. The soil texture of the ground makes a big difference in the capacity to capture the water without leaching. Coarse-textured soils will hold less, so nitrate movement will be deeper with the same amount of water. The second factor is how much nitrate was in the soil that may leach. If nitrogen was applied preplant, consider where the nitrogen is and whether more needs to be applied. The source of nitrogen and when it was applied will determine how much nitrate was available for leaching. Those who can apply nitrogen through fertigation can wait longer to make a decision.